Hugely popular for over 150 years, it's one of the most tender and delicately flavored leaf lettuces ever bred. The ruffled leaves are large with an appealing green color. Simpson is well adapted to a wide range of climates and is still the best for early spring sowing. Lettuce, Black Seeded Simpson is rated 4.6 out of 5 by 13. Rated 5 out of 5 by Vanda from Great Great product, consistent results for the past 5 years. Rated 5 out of 5 by Computerguy from Love this product for both soil and hydro I have been growing Black Seeded Simpson for more than 20 years! In the soil garden, in has grown well for most of those years. In hot/dry summers the birds love it, so I share it with them. Now I mostly grow it indoors hydroponically and aeroponically with amazing results! Outdoors produces a tougher leaf, excellent, and indoors it is tender and luscious. We pick leaves fresh from the plant and put it in salads and sandwiches! I recommend this product to everyone! Rated 5 out of 5 by Landseac from Fast and easy to grow! These lettuce seeds geminate quickly and grow really fast. Attract some pests but are generally free of disease issues. Rated 5 out of 5 by irelamanda from Great Producer! This lettuce is an heirloom and comes up each year without any flaws. The taste is great and is a very hearty variety. Rated 4 out of 5 by daisygurl from Love this lettuce! 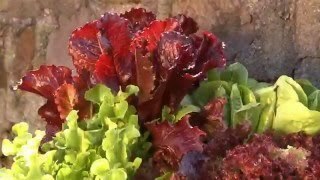 Here in Central Florida, lettuce can be tricky due to humidity and heat setting in early. This lettuce did not disappoint. It was tender and crunchy and almost sweet when picked young. I will definitely be growing it again! Rated 4 out of 5 by Jasman from Very Pleased We have a small garden so we only planted a little bit (maybe a 6 foot row). 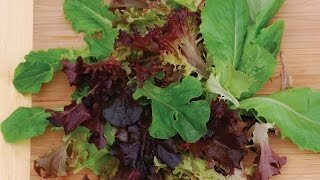 About every other day I would pick some leaves off to make two salads and it always seemed like there was just as much every time I came back. The leaves were tender but not uninteresting like other lettuce I've grown before. Rated 5 out of 5 by GardenGirl88 from We were able to feed the masses! We planted about 20 feet of this in a row, and it performed better than we could have hoped for. My mom and her boyfriend ate as much as they could, shared with the people in their apartment building, and there was still enough to take up to the local assisted living facility in our small town. It starts easily and quickly, and grew about 18 inches wide and high. We planted Mother's Day weekend, and it finally bolted around the beginning of August. We got a very long season for our area. Only down thing was that it did aggravate Mom's boyfriend's diverticulitis in large quantities (they ate it every day). No such trouble with the romaine.